PBMares, LLP, has been recognized as the 98th largest accounting firm in the nation by INSIDE Public Accounting, based on net revenue. 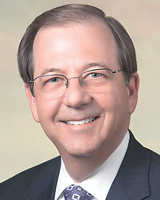 Alan Witt, CPA, is the firm’s CEO. 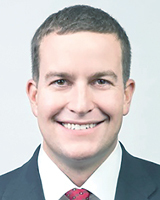 Benjamin “Bo” Garner, CPA, MBA, assurance manager and co-leader of not-for-profit services at PBMares, LLP, has been honored as one of CPA Practice Advisor’s 40 Under 40 for his role in advancing the accounting profession through leadership, innovation and collaboration. Garner sits on the firm’s strategic planning and community outreach committees and serves as an on-boarding sponsor to help welcome new employees. The Newport News Green Foundation presented 2017 Green Awards to St. James Terrace Apartments, South District; W.J. Smith and Son Funeral Home, Central District; CarMax Auto Superstore, North District; and Colony Animal Hospital, Maintenance Award. Langley Federal Credit Union donated $25,000 to the American Red Cross to support its relief efforts in the Houston area for people impacted by Hurricane Harvey. 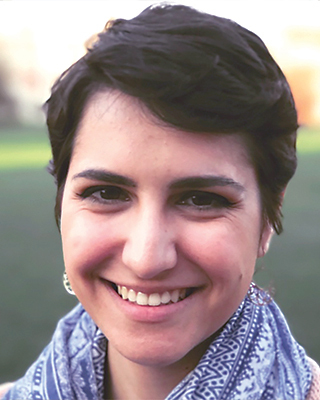 Melanie Occhiuzzo has been named social media manager of Oyster Pointer. A senior at Christopher Newport University (CNU), Occhiuzzo is pursuing a bachelor’s degree in English with a concentration in writing. She currently serves as editor-in-chief of The Captain’s Log, CNU’s student publication. Gregory Spryn has been appointed senior vice president and business development officer at Old Point Trust. Spryn has more than 23 years of comprehensive trust, wealth management and account management experience. 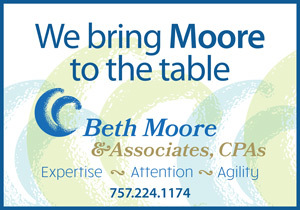 He is a Certified Financial Planner®, has an MBA from Hood College and a Bachelor of Science degree from Juniata College. 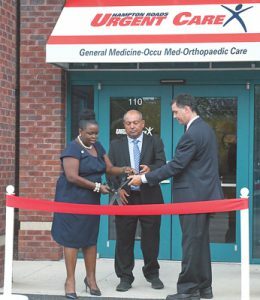 Hampton Roads Urgent Care (HRUC), a division of Hampton Roads Orthopaedics & Sports Medicine (HROSM) opened in July, offering specialties in orthopaedic and sports medicine, occupational medicine and general medicine. Participating in the ribbon-cutting ceremony were, from left, Tina Vick, Newport News vice mayor; Dr. Michael Baddar, HRUC medical director; and Dr. Adrian Baddar, orthopaedic surgeon with HROSM. Philip L. Hatchett and James L. Windsor, of Kaufman & Canoles, P.C., have been named among the 47 attorneys of the firm for inclusion in The Best Lawyers in America® 2018. Since it was first published in 1983, Best Lawyers® has become universally regarded as the definitive guide to legal excellence. Best Lawyers lists are compiled based on a peer-review evaluation. 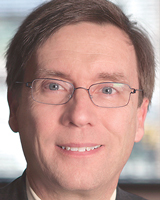 Hatchett’s practice involves trusts and estates. 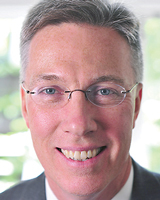 Windsor’s practice focuses on real estate law. 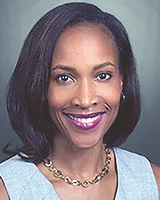 Valerie M. Harvey, MD, MPH has joined Tidewater Physicians Multispecialty Group (TPMG) in its Hampton Roads Center for Dermatology offices on Omni Boulevard. Harvey earned her undergraduate and medical degrees from the University of Virginia. She completed her dermatology residency at the University of Maryland Medical Center and received a Master of Public Health degree from Johns Hopkins Bloomberg School of Public Health. 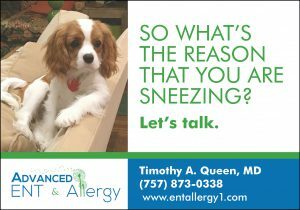 Harvey’s primary clinical interest is general medical dermatology, including acne, eczema, psoriasis, moles and skin cancer. She holds a special interest in pigmentary disorders and skin conditions, which disproportionately affect minority patient populations. 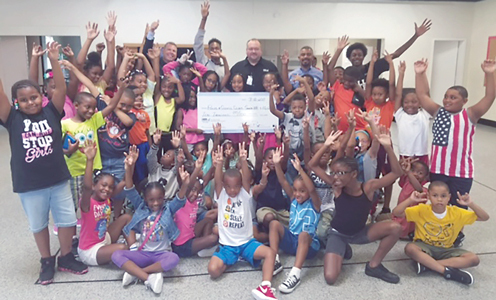 Langley Federal Credit Union (LFCU) donated $10,000 to the Boys & Girls Club of Southeast Virginia (B&GC of SEVA) to support the organization’s many programs that provide the skills and encouragement youth need to become responsible, caring citizens. Posing with Boys & Girls Clubs participants are (far back, left) Ken Will, B&GC of SEVA president/CEO, and (back center) Gary Hunter, Langley VP of consumer loans and AVP of corporate relations. LCFU has been named the top credit union for Small Business Administration (SBA) loans by the Richmond District Office of the SBA. 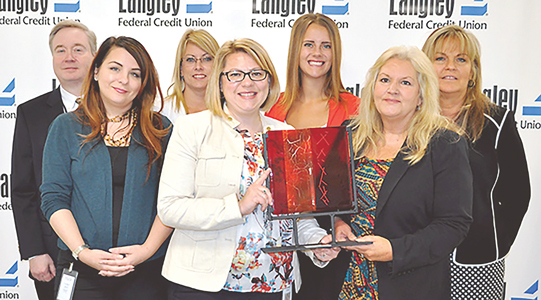 This is the second year that Langley has won the top credit union award in the district, having won in FY 2013. Shown here (left to right) are the Langley commercial lending team of Lucky Lakoski, Doris Jackson; Tracey Pesante; Natasha Merz, vice president of commercial lending; Korine Arseneau; Dara Jackson; and Robbie Powell. Lil Crone Bonnette has assumed the role of vice president of community impact and operations of the United Way of the Virginia Peninsula. Bonnette, who came to the organization as director of marketing and communications, is responsible for providing direction to Pathways Out of Poverty, United Way’s strategy for collective impact. As a creative designer, she redesigned all of United Way of the Virginia Peninsula’s marketing materials. 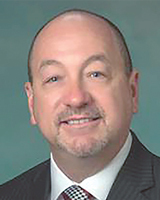 Bonnette was previously executive director of South Carolina Association of Technical College Commissioners. 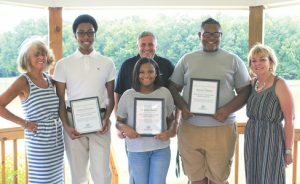 Three members of the Boys & Girls Club (B&GC) were each awarded a $2,500 college scholarship by the Dale Lucado Scholarship Committee. Lucado, an alumnus of the Boys Club with a passion for sports, was injured in the 1971 Alumni Thanksgiving Day football game between Newport News and Hampton high schools. Undaunted by his own paralysis, Lucado worked with special needs children, participated in the Special Olympics and coached girls’ softball. Pictured (left to right) are Gail Phelps, committee member; Jeremy S., Gloucester Club scholarship recipient; Hal Smith, B&GC president and CEO; Tamesha W., Peninsula Club scholarship recipient; DeSean W., Pinedale Manor Club scholarship recipient; and Donna Dudley, committee member. 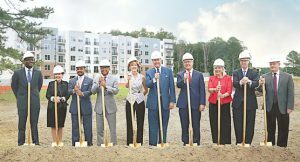 W. M. Jordan Development Company officially broke ground for Building One @ Tech Center, an 80,000-square-foot building, the first of many in the 50-acre research park located at the intersection of Jefferson Avenue and Oyster Point Road. New tenants will include Opready, Inc., using modern technology and sophisticated design to provide intuitive products and solutions for both business environments; and J&F Alliance Group, providing services to support local, state, government and military infrastructures through responsive logistical support, information technology, administrative support and augmented, virtual and mixed-reality solutions. 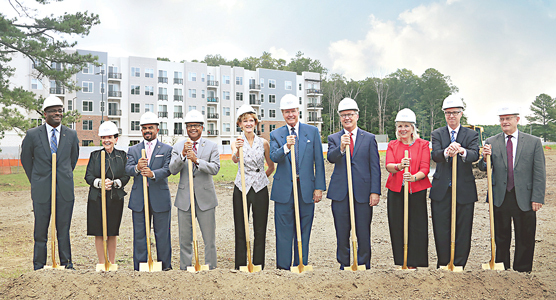 Participating in the ground-breaking ceremony were (left to right) Jeff Johnson, director of Tech Center; Ashby C. Kilgore, Ed.D., superintendent Newport News Schools, Gary B. Hunter, chair of Newport News School Board; McKinley L. Price, DDS, mayor of Newport News; Karen Jackson, Commonwealth of Virginia Secretary of Technology; John R. Lawson, II, president and CEO of W. M. Jordan Company; Timothy D. Sands, president of Virginia Tech; Cindy Rohlf, city manager Newport News; Stuart Henderson, laboratory director Jefferson Lab; Jerry Draayer, president and CEO of SURA. 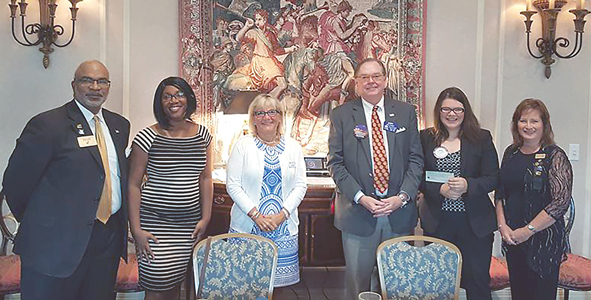 The Rotary Club of Oyster Point was awarded a $5,000 district grant to benefit KiddyCity Daycare, an early learning childcare program of Smart Beginnings Virginia Peninsula. The project will purchase materials for several new activity centers essential to early childhood development and literacy, and large and small motor development materials, which align with the standards set forth in the Virginia Quality system. The project will also improve KiddyCity Daycare by purchasing mulch for the playground and adding an outdoor play center. 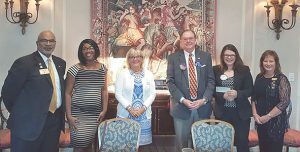 Pictured (left to right) are Kevin Lyles, Rotarian; Doreen Washington, director of KiddyCity Daycare; and Hilari Devine, John Padgett, Sarah Saville, Heather Martin, Rotarians.